Welcome to Constantine Farms, an upscale Oldham County neighborhood located in Prospect KY. You can access Constantine Farms by taking U.S. 42 to Covered Bridge Rd. In Constantine Farms, expect nothing other than luxury. 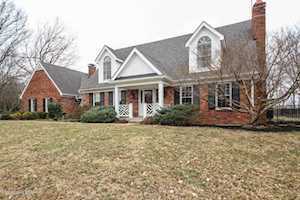 The Hollinden Team updates this search for Constantine Farms houses on a daily basis from the Louisville MLS. The Hollinden Team has worked with buyers to find their dream home in Constantine Farms. Check out the Hollinden Team reviews to find out what our past clients say about us. We would love to assist you in finding your next home or selling your home in Prospect. Click the map to the left to view each home in Constantine Farms. There is a satellite view button in upper right. Since these are custom built homes, you will find that each home has its own character. You can find anything from colonial style to contemporary style homes in this neighborhood. 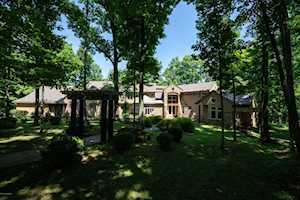 Privacy is never an issue in Constantine Farms as each has from two to over ten acres! Square footage usually ranges from 1,600 to 8,000 above grade square feet in these homes, and you will have a basement for extra square footage too. Two to seven bathrooms and three to six bedrooms are what you'll see in these homes. The age of homes in this neighborhood range from 15 to 50 years old. For grocery shopping, there is both a Kroger and Walmart near Constantine Farms. For shopping malls, you will have to travel to Louisville. The closest shopping centers are The Paddock Shops and Westport Village which are about eight miles away. Saint Matthews Mall and Oxmoor Mall are about eleven miles away from this neighborhood. There are many restaurants near Constantine Farms. Many residents enjoy visiting Captain’s Quarter restaurant. Other restaurants include The Blackstone Grille, Cast Iron Steak House, Karem’s Grill & Pub, Los Aztecas, and J Harrod’s Restaurant. The following schools are home schools for Constantine Farms: Goshen Elementary, North Oldham Middle School, and North Oldham High School. Harmony Elementary and North Oldham High School are two of the four schools of distinction in Oldham County. North Oldham Middle School is one of the four highest-performing schools in Oldham County. If you would like to learn more or have any questions about any of these Constantine Farms houses for sale, or others in the zip code 40059, just click the "Request More Information" button on any property detail page. The Hollinden Team can provide you with past sale information, comparables, disclosures, PVA assessment, and tax information – we would love to answer any real estate questions you have.